They play with illusion and bend reality. They practice the art of joyful deception. They are storytellers, philosophers, clowns and poets. They will fool you, make you laugh, and lead you to wonder if all of life is just one big trick. 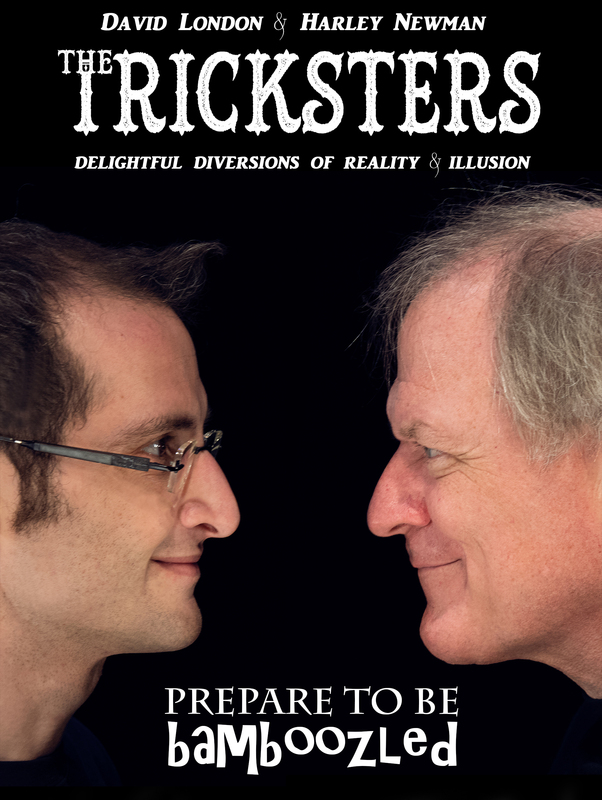 David London and Harley Newman proudly present The Tricksters. $20 RUSH TICKETS AVAILABLE AT THE DOOR FOR $20. WHILE SUPPLIES LAST. David and Harley have been friends for nearly 20 years. Whenever they are together, the proudly bounce off the walls, and dream of impossible things.